David Blaine by many accounts is the greatest magician and illusionist who ever lived. Innovating one of the best TV magic specials ever done at the age of twenty-three, spectators at home could feel the visceral reaction of people being astonished. Taking the craft to heights it had yet to reach, Blaine's signature brand of street magic and live spectacles have sparked reactions that awe audiences and defy all expectations. The Brooklyn-born, Juno-nominated S'Aida was lead singer of the 13-piece world music ensemble Kaleefah, before embarking on her solo career. She has also performed as a backing vocalist for Rita MacNeil and Patti Labelle, as well as with jazz musicians such as Jimmy Smith and Ruth Brown. Lebanese-born Canadian musician Karl Wolf has been a singer, songwriter and producer since 2001, releasing his first solo album Face Behind the Face on MapleNationwide/Universal in 2006, followed by a second album Bite the Bullet in 2007. His third album Nightlife was released in 2009 followed by Finally Free in 2012, Stereotype in 2014 and WOW in 2015. His biggest hit has been a remake of Toto's "Africa" sampling from the song and providing new lyrics and arrangements. DIA sings in no less than 28 languages, including English, Italian, Spanish, Hebrew, French, Farsi, Portuguese, Arabic, and Balkan dialects. 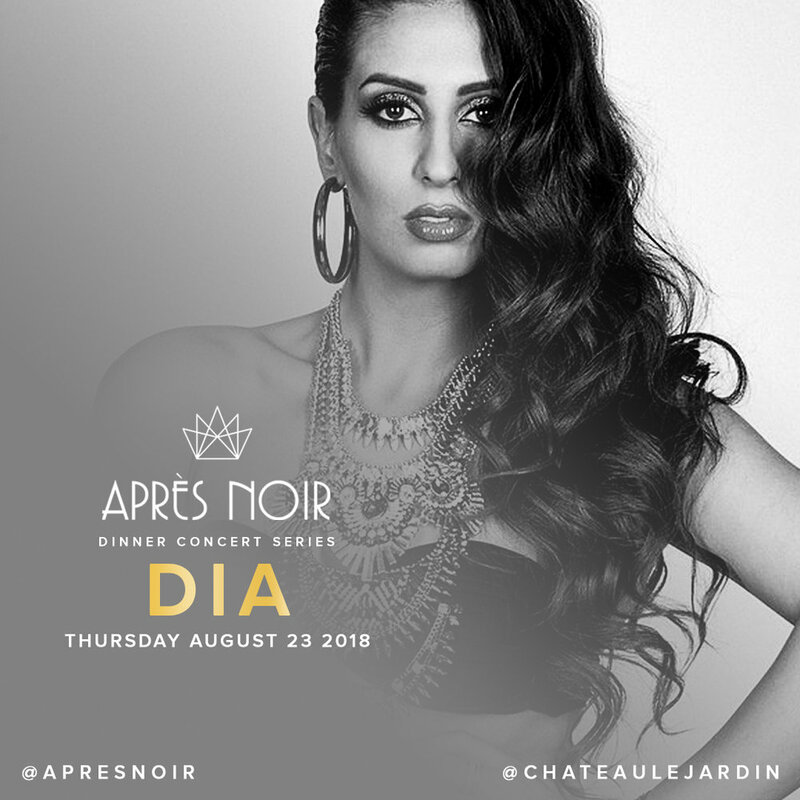 Providing vocal talent at the closing ceremonies of the Toronto 2015 ParaPanAm Games at Nathan Philips Square, her intrinsic expertise is undoubtedly well-regarded throughout the GTA region while recognizing the diverse cultural voices that her hometown has to offer. Born and raised in Toronto, Canada, some consider Daniel Mazzone to be the next Andy Warhol. His work has found a home in the prized collections of some of the world's most-recognized art collectors. 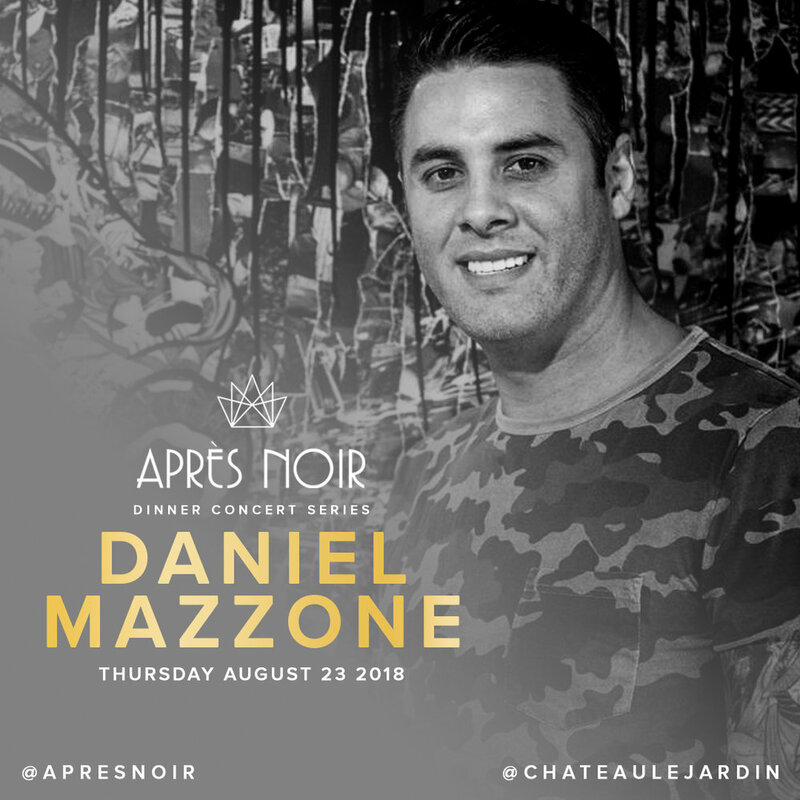 Mazzone's talents as a curator will be on display and in action at Après Noir.